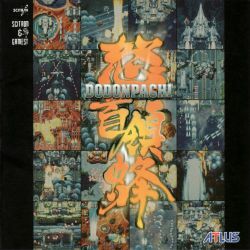 DoDonPachi / ESP Ra.De. / 怒首領蜂・エスプレイド / DoDonPachi / ESP Ra.De. According to the composer, track 22 should be "RAGING DEICIDE"; apparently he was a fan of the death metal band Deicide. Directed by TAKAHIRO YAGI for SCITRON & ART INC.
Design : KYOKO KOMURO for SCITRON & ART INC.
Executive Producer KAZUSUKE OBI for SCITRON & ART INC.
ESP Ra.De. / エスプレイド / ESP Ra.De.